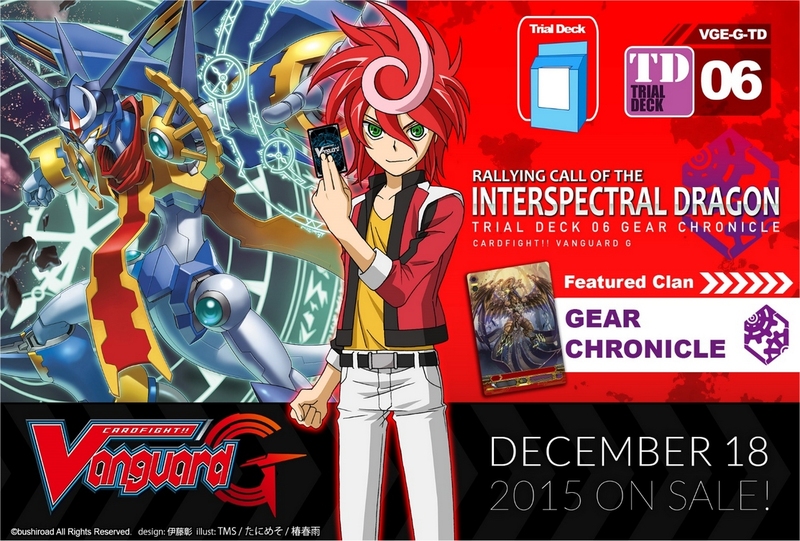 Start on a new journey with Chrono Shindou's Rallying Call of the Interspectral Dragon Trial Deck. Featuring the new ability "Time Leap", this pre-constructed Trial Deck can be used out of the box and comes with exclusive Trial Deck only cards which will delight new and veteran players alike. A "Gear Chronicle" Clan Card will also be included with the Trial Deck for the very first time. Hot stamped cards are randomly inserted into decks. 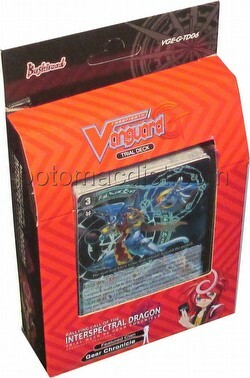 Each deck includes 52 pre-set cards. There are 19 different cards in each deck (18 trial deck exclusives and 1 reprint with new artwork, including 4 holo cards), plus a starter's guide, play mat, and the "Gear Chronicle" card.